The average UK broadband speed is now 9Mbit per second, marking a 150 per cent increase in speeds since Ofcom began measuring in 2008. Residential broadband speeds have gradually crept up over from 3.6Mbit/s in November 2008 and that's not all down to people upgrading their packages to superfast options. Ofcom says that many people are benefiting from faster speeds because ISPs have been upgrading networks to provide the superfast premium speeds "at little or no additional cost to consumers". 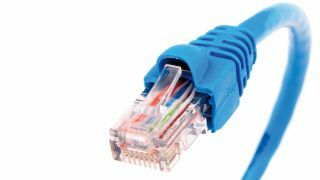 The UK's hunger for faster, better, stronger internet has also fuelled an increase in superfast broadband adoption – in May 2012, 8 per cent of residential connections were superfast, up from 2 per cent in May 2011. As for individual ISPs' performances, Virgin Media's 'up to' 100Mbit/s download speed package came out on top, with its average actual speeds hovering around 88.3Mbit/s over a 24-hour period. However, at the busiest parts of the day, BT Infinity's fibre customers enjoyed better speeds relative to their usual average than on Virgin Media's cable network. Ed Richards, Ofcom Chief Executive, said: "Our research shows that the move to faster broadband services is gathering momentum. Consumers are benefiting from network upgrades and the launch of new superfast packages, giving them faster speeds and greater choice. "We are continuing to work with the advertising code-writing bodies and ISPs to ensure that speeds advertised reflect actual speeds experienced, to allow consumers the ability to make informed decisions when shopping around to find the most suitable package."